I was a bit surprised to see that An Afternoon In The Garden, featuring Elvis' matinee show at Madison Square Garden on June 10, 1972, is the best-selling Elvis album this year in the U.S. After all, it was released 14 years ago, in 1997. 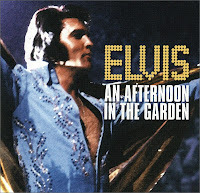 According to the Elvis Information Network, An Afternoon In The Garden has once again re-entered the Billboard 200. Not only that, its chart performance and sales are actually better than all the "new" Sony mainstream releases from the past three years, including Viva Elvis and Elvis 75. 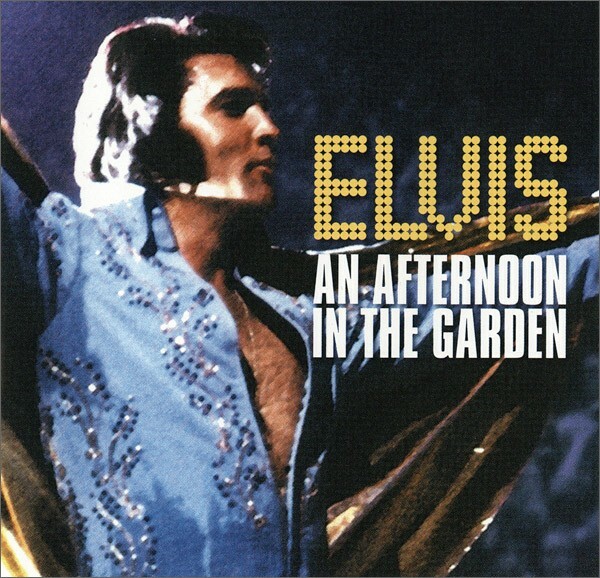 The casual consumers are buying "An Afternoon At The Garden" because they are at Wal-Mart for other reasons and see a cheap Presley title in the bargain bins for $5. They figure, it is cheap, it is Elvis, it has a cool looking cover, it is related to Madison Square Garden, and worth picking up for all those reasons. Most probably don't even know it was released back in '97. Yet, I think it's pretty amazing that an album that didn't chart when it was released in 1997 is doing so today. And the casual CD byers at Wal-Mart are to be congratulated, they get a great show with Elvis delivering more than 20 songs during one intense, breathless hour. In fact, I'm listening to An Afternoon In The Garden as I'm writing this post, and right now "Polk Salad Annie" is blasting through my headphones. Closing my eyes I can see the audience screaming at the top of their lungs as Elvis ends the song in a flurry of karate chops. It's as far from Amarillo '77 as it gets. I'm so happy to hear it's in the Billboard charts. Yep, I saw it in the $5 bin, along with a lot of other random things. Glad to see Elvis getting into the charts over Hall & Oates, for another example from the bin! And yes, it's an awesome recording (already have a copy).